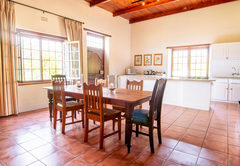 Webersburg is a highly recommended guest house with self catering option, providing accommodation in Stellenbosch for tourists visiting the Cape Winelands region. 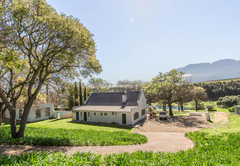 Webersburg warmly invites you to its elegantly restored Cape Dutch homestead and boutique winery which is nestled against the slopes of the Helderberg mountains in the heart of the Stellenbosch wine lands. 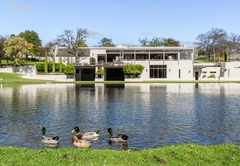 Webersburg is encircled by other world renowned estates, including Alto, Rust en Vrede, Ernie Els, Meerlust and Waterford. 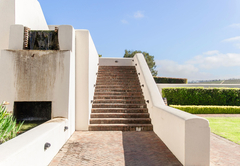 Webersburg is just a short drive away from beautiful beaches and exclusive golf estates. 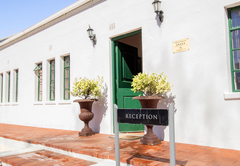 Dating back to 1786, the Manor House and Jonkershuis at Webersburg invite you to experience the finest Cape Dutch heritage in its most stylish and comfortable expression. 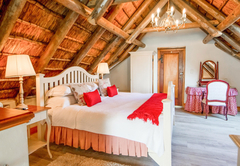 There are ten luxuriously cosy suites to choose from at Webersburg, with the option of either five rooms with en suite bathrooms or five rooms with en suite bathroom and kitchen combinations. 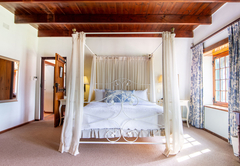 The guest rooms and lounges at Webersburg are spacious and homely. 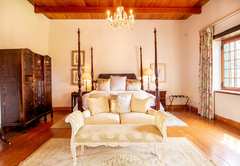 Everything feels personalised and inviting, from the elegantly restored antique décor to the plush couches and fine linen. The bathrooms are beautifully finished with marble, gilded mirrors and sparkling contemporary fittings. Delicious farm-style breakfasts are served every morning. 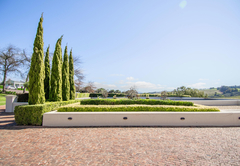 Spend lazy summer afternoons splashing in the sparking swimming pool or reclining on the rolling lawns. Snuggle up in winter in front of cosy fireplaces with Webersburg red wine. At Webersburg it is easy to experience the gentle passage of time as the sun rises and sets casting shadows across the mountains and valley. 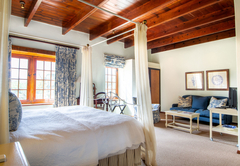 Romantic, relaxing and refined this is a glorious homestead experience. 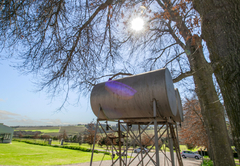 Webersburg is a boutique winery that follows the classic French tradition of low production per hectare, controlled fermentation and a high percentage of new barrels used with every vintage giving the wines great structure and complexity. 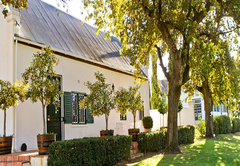 Webersburg wines shows great finesse and character and possess good aging potential. 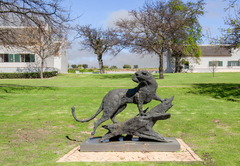 These classic wines are stylishly elegant, infused with the essence of the Stellenbosch winelands. 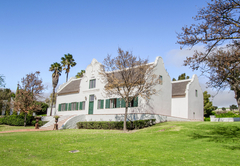 Webersburg’s Cape Dutch cellar, built in 1796, resonates with age-old wine making secrets. 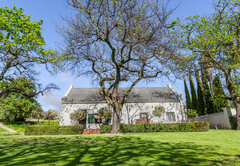 In summer, savour our delicious wines whilst relaxing on the luscious green lawns under oak trees, and enjoy breathtaking views of the vineyards and mountains. 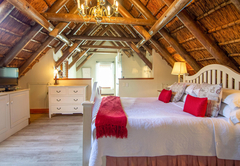 Spoil yourself in winter by sipping our luxurious red wines in front of glowing fireplaces. 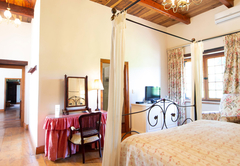 It is a Luxury en suite Double Room. 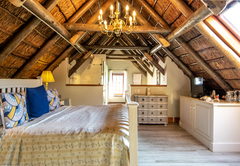 This includes a King size bed, Dstv, Safe, air-conditioning, hairdryer and mini fridge. A beautiful Victorian bath in the room with a separate bathroom and toilet. 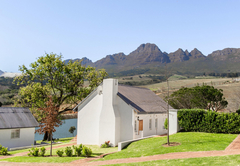 A beautiful view of the farm and surrounding mountains. 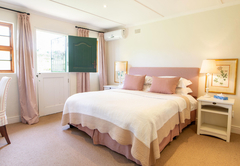 Ground floor, A lovely styled luxury room with king size bed and en-suite bathroom. The room also has a mini fridge, kettle and crockery for tea or coffee. 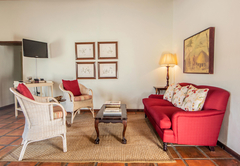 Tv with satellite, safe, air-conditioning and a view of our beautiful rose garden. 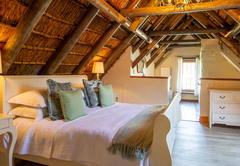 Top floor, A luxury room with king size bed and en suite bathroom. The room also has a mini fridge, hairdryer and kettle with crockery for tea or coffee. TV with satellite, safe, air-conditioning. The top floor share a spacious lounge area with a beautiful view. 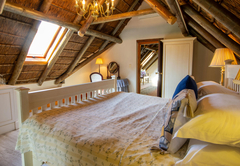 Top floor, A luxury room with king size bed and en-suite bathroom. The room also has a mini fridge, hairdryer and kettle with crockery for tea or coffee. TV with satellite, safe, air-conditioning. The top floor share a spacious lounge area with a beautiful view. Sleeps 4 guests. 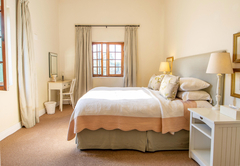 Luxury Self catering Suite. 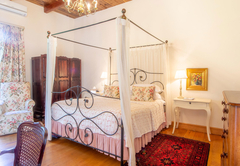 Double Room has a king size bed and Twin Room is two single beds. 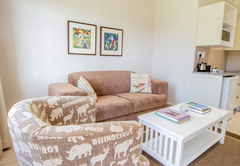 Single bathroom, lounge, air-conditioning, satellite TV, safe, en-suite, fitted kitchen. 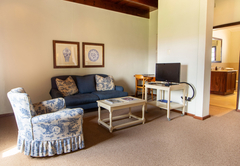 A lovely Self catering unit with a king size bed with TV and satellite, a small kitchen, bathroom, safe, air-conditioning. 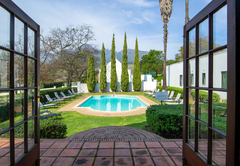 Enjoy sun-downers on the porch in front of your room overlooking beautiful vineyards and breath-taking mountains. 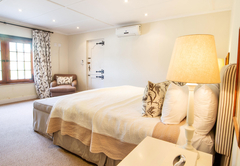 A luxury Self catering Unit, en-suite Kitchen and big bathroom, King size bed, TV with satellite and Safe. Kitchen is stocked with all pots and pans, cutlery and crockery. 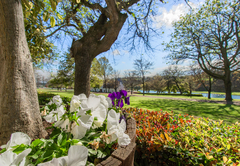 The porch in front of your room is a awesome place for sun-downers or relaxing. 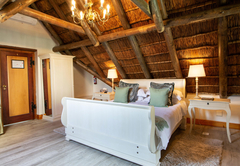 A luxury Self-catering Suite, a lounging area and King size bed in the bedroom, en-suite bathroom and on-suite kitchen. TV with satellite and Safe. 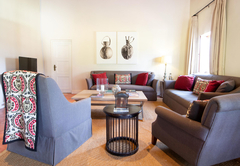 The two rooms share a lounge which is situated between the two rooms. A very spacious area. 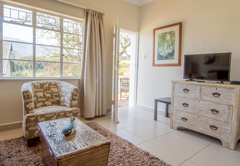 A luxury Self Catering Unit, en-suite kitchen and bathroom, TV with satellite and Safe. There is a lovely couch to relax on. The view out of your room is stunning. The porch is a nice place to enjoy sun-downers and relax. There is a Lounge between Rooms 4 and 5. 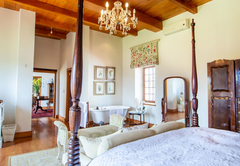 A lovely styled non graded luxury room with king size bed and en suite bathroom. The room also has a kettle and crockery for tea or coffee. Includes safe, TV and air-conditioning. 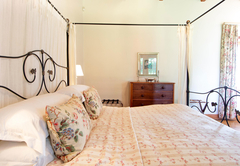 A lovely styled non graded luxury double room with a king size bed and a signal bed. 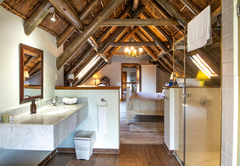 En-suite bathroom to share. Open plan kitchen and lounge This room has a TV, air-con, safe and bar fridge. Sleeps 3 guests. Definitely among Stellenboschs finest establishments. Response timeWebersburg typically responds to requests in 5-10 minutes.